It’s difficult to imagine a more iconic American rock band than the Beach Boys. Bursting on the scene in the early 1960s with catchy songs about the California surfing scene, the Beach Boys had a string of hits that continue to inspire generations of fans. “Surfin’ USA,” “Catch a Wave,” “California Girls,” “God Only Knows,” and dozens of other hits propelled the group to prominence. The band included Brian, Dennis and Carl Wilson — all brothers — and their cousin, Mike Love. Under Brian’s direction, the group constructed tightly woven harmonies that spoke of life on the beach. Love was the lead singer and contributed lyrics to many of the band’s songs. In his just-released autobiography, Love sets out to settle more than a few scores. Perhaps it’s a hazard of the genre, but the entire effort is more than a little self-serving. Love is alternately defensive, angry, self-pitying and proud. It’s dizzying just trying to keep his grudges straight. Love has had a contentious relationship with his cousins — and many of his fans — over the years. Brian Wilson was the genius of the band, responsible for writing the stunning music, the catchy melodies and — most important — the astonishing harmonies. The band, under Love’s direction, continued to tour without Brian. As Brian’s music became increasingly esoteric, he began to crumble under the combined weight of public expectation, increasing drug use and evident mental instability. His planned masterpiece album, “Smile” was abandoned as Brian unraveled. Love, meanwhile, continued to drive the band forward. But as the 1960s progressed, the Beach Boys — with their matching striped shirts — fell out of fashion and, without Brian’s contributions, the band suffered. Since then it has released several mediocre records but has largely survived as an oldies band. Love bitterly complains that he did not receive credit for co-authoring various hits, “California Girls” among them. He sued Brian Wilson over the issue (and separately for defamation) and won a judgment declaring him the co-author of dozens of the band’s songs. According to Rolling Stone magazine, Love “is considered one of the biggest assholes in the history of rock & roll.” Reviled for his hostility to “Pet Sounds” (he denies it), his tight gold lamé pants, his Republican sympathies (he denies it) and his vain effort to conceal his balding head in a rotating series of caps, Love is easily one of the most controversial figures in rock ’n’ roll. Dennis Wilson died in 1983, in a diving accident. Carl Wilson died in 1998 of lung cancer. Brian Wilson rarely performs. 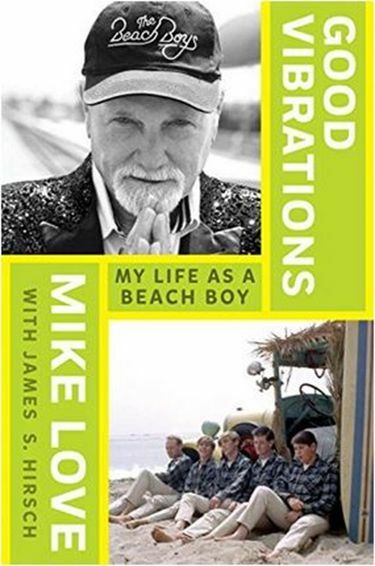 Love, for his part, continues to lead a band legally licensed to call itself the “Beach Boys,” singing songs he helped write 55 years earlier. And carrying just a few grudges.